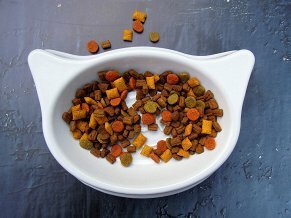 How long will a product be available at Phidgets.com? Making an adaptive backlight for your computer screen. 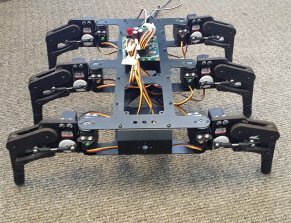 Because who doesn't want a walking robot? 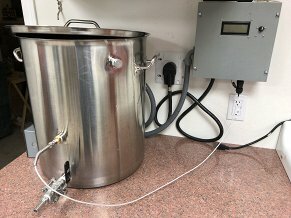 Using Phidgets to control and monitor an electric brew kettle. 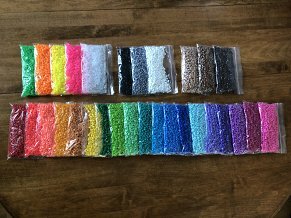 Using Phidgets with OpenCV to sort 22,000 Perler beads by colour. 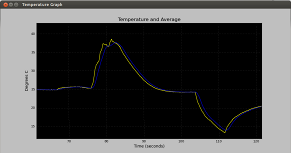 Create a remote temperature monitoring system using Phidgets. 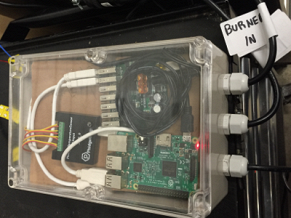 Continuing the Phidget Smoker Project, we replaced the Raspberry PI with a PhidgetSBC4, and updated the control algorithm to provide a more consistent smoking temperature. Our shipping department wanted an easy way to measure lengths of chain for customer orders. 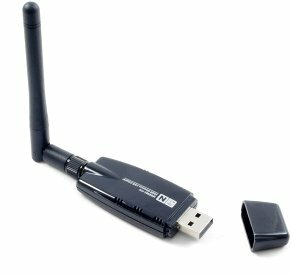 In this article, you will learn how to play an MP3 from your Phidget SBC. 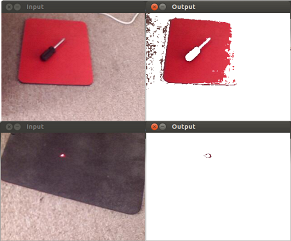 Modify your Halloween decorations using Phidgets! 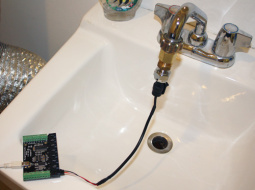 Create a water leak detector using Phidgets. A quick introduction to automated blinds. 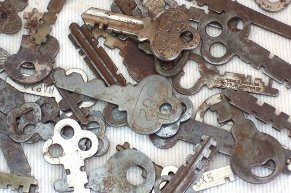 For people who are sick of keys! 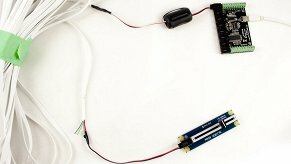 A guide to measuring small currents with use of current sense resistors and the VCP1002 Small Voltage Sensor. 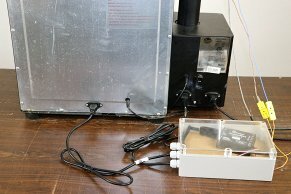 This project is a continuation from the Phidget Smoker Project #1. 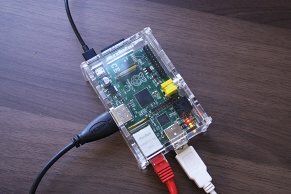 We replaced the PC with a Raspberry PI, and built an enclosure for the hardware. 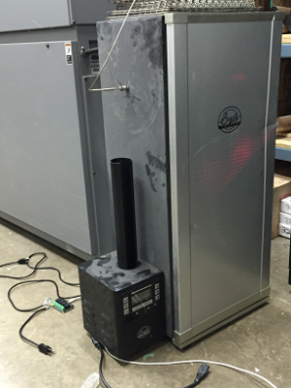 We also installed a second burner in the Bradley smoker to help it keep up with the strenous Phidget smoking demands. 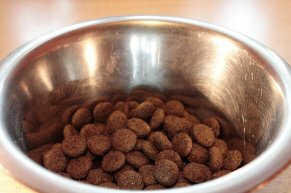 When working with Phidget Encoders, a tempting method to calculate their velocity is to simply divide the number of pulses (or edges) by the elapsed time given by an event. However, problems arise with this method when the encoder starts and stops, or moves slowly enough that it’s hard to tell the difference. 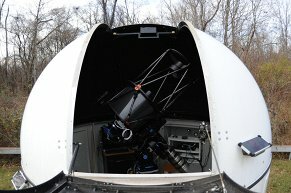 Accuracy, Precision, And Resolution; They're Not The Same! Accuracy, precision, and resolution may all sound like different words for the same thing, but there are important distinctions. We'll start with the difference between precision and accuracy. The easiest way to show the difference is with an analogy. 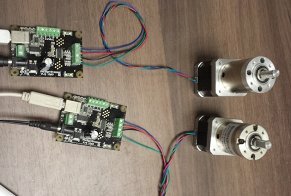 If you've ever played with motors, you've probably noticed their musical hum as they turn at different speeds, but have you ever thought of putting your motors to use as a musical instrument? 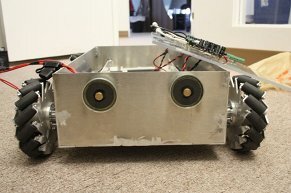 While this project probably won't be something that'll make you go out and buy motors and controllers, it's a great project to take on if you have some extra material lying around. 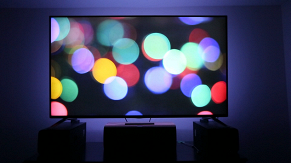 Last year we talked about setting up simple home automation. Building off of that, let’s talk about setting up a web server on the SBC to share data on the world wide web. 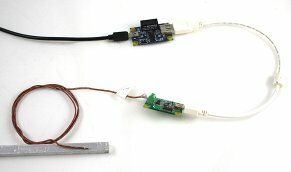 At Phidgets, we try to make a wide variety of sensors available to our customers. If we can’t make the sensor ourselves, we try to find a manufacturer so we can sell a third-party sensor to fill the gap. However, some types of sensors have such a niche market that it doesn’t make sense to sell them at a (relatively) small store like Phidgets. 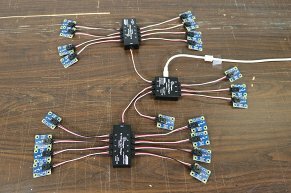 The purpose of this series of blog posts is to highlight a specific class of unique sensors and walk through what options are out there and which ones will work with your Phidgets devices. When prototyping an idea, it’s important to choose components that will help prove the concept, allow the design to be evaluated and give a basis from which the final product can be derived. 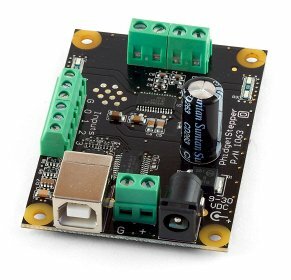 There are many options for hardware to use in prototypes, from the costly, proprietary packages like National Instruments to the low-cost and open source options like Arduino, and the multilingual, mid-cost solutions like Phidgets. 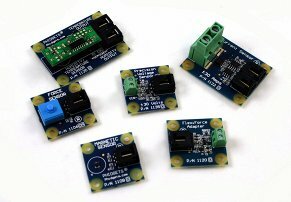 At Phidgets, we try to make a wide variety of sensors available to our customers. If we can’t make the sensor ourselves, we try to find a manufacturer so we can sell a third-party sensor to fill the gap. However, some types of sensors have such a niche market that it doesn’t make sense to sell them at a (relatively) small store like Phidgets. 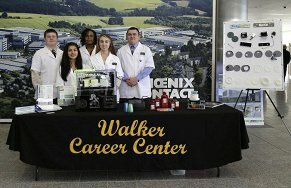 Earlier this year, a group of high school students from Walker Career Center in Indianapolis competed in Phoenix Contact's Nanoline contest. They call themselves the Nano Consultants, and their vision was to build a device that would dispense proper dosages of medications to patients prone to forgetting their medication. They call it the RoboDose. 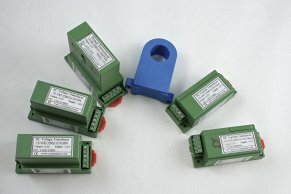 There’s a vast selection of load cells available from sensor companies around the world. While all these load cells do basically the same job, there are some subtle differences that are worth clarifying when connecting them to the 1046 Phidget Bridge. 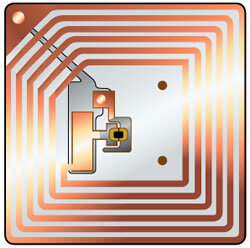 Radio-Frequency Identification (RFID) is a useful and affordable way to create interaction. 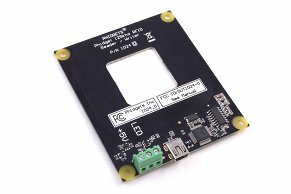 The Phidgets RFID reader offers solutions in near-field applications, allowing tags to be detected within a few centimeters. 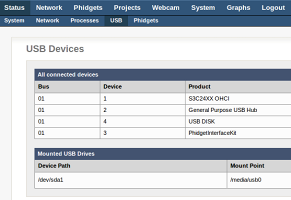 In many Phidgets projects, more than one Phidget device is required to carry out the necessary functionality. 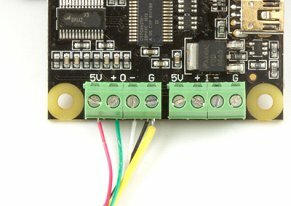 For instance, to have a responsive system that has a motor open a vent when the temperature exceeds a certain limit, you’d need a motor controller and an interface kit with analogue input. Debugging is hard and any help in the process is a welcome respite. 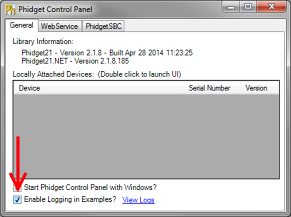 When working with a Phidget application, one of the best tools you have available is Phidget Logging. 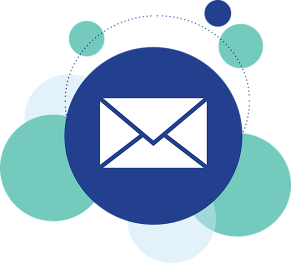 In our API we have a few functions that spit out data about what is happening beneath your code, which gives you very useful information about problems that are occurring. As the technical support for Phidgets, one of the first things I ask people to do when they are having issues is to generate logs and send them to me. 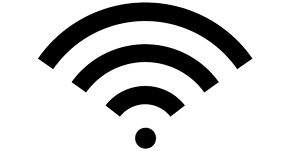 At first glance, the device label property looks simple and maybe even dismissible. If you noticed it at all, you may have even wondered why it’s there, but be assured, there are some really neat things that you can do with it. 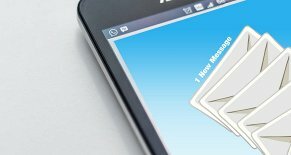 You can hold device-specific flags, differentiate between multiple Phidgets by giving them meaningful names, or give them custom serial numbers. 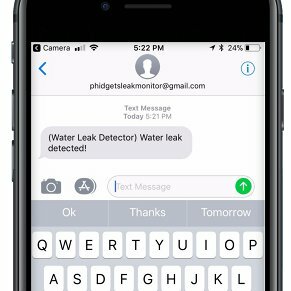 While many people prototype their designs with Phidgets, there are a lot of people making one-time installations to work with Phidgets on a long-term basis. These people make museum exhibits, as well as interactive art installations (like Eos Lightmedia). 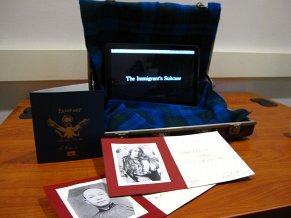 Phidgets help the creation of exhibits that move people from being passive observers to engaged participants in learning. 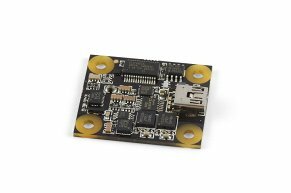 RobotShop and DSP Robotics just launched some new apps to get Phidgets quickly working on your computer. 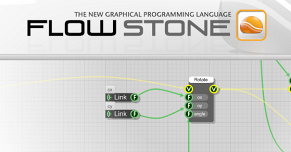 These apps are made with FlowBotics Studio, the new robotics software development platform. The new apps make it really easy to use Phidgets (you don’t even need to install the Phidgets drivers). Just download the Phidget app, and it’ll run, just like that. Using multiple radio-frequency identification (RFID) readers in a relatively confined space can be a tricky proposition. We tell our customers that if they want to have multiple readers in their application that they should space them at least 1 meter apart. That is quite a significant distance, and in some cases, it isn’t practical. 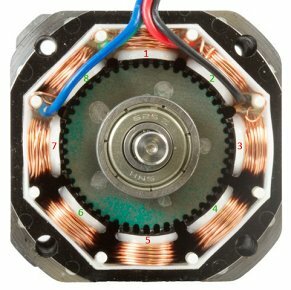 Stepper motors are unique among electronic motors in that they move in a series of discrete steps (hence their name) rather than a continuous motion. This is a useful property since it allows steppers to have positional and velocity control that is both accurate and easy and doesn't even require feedback to maintain (under normal operation). However, one of the primary disadvantages of this style of motor comes as a direct result of this discrete nature and open loop control. 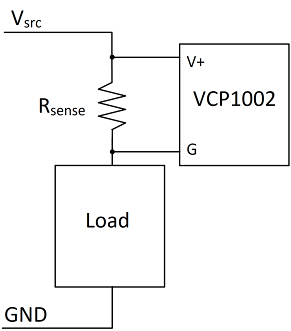 Small voltages and currents pose difficulties when being measured, but solutions for measuring these tiny values do exist. 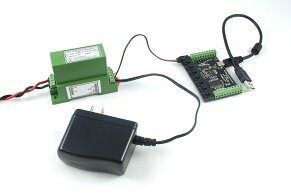 You can use devices like the 1048 and 1051 Phidgets Temperature Sensors and 1046 Phidgets Bridge to read any small voltage. 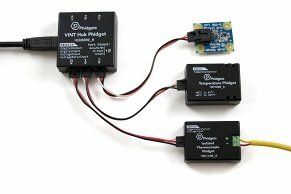 Here’s a quick explanation of how to set up these Phidgets and get them working to measure your small voltages and currents. 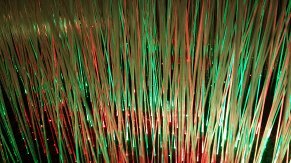 You might have come here because you’re thinking of running a really long sensor cable around your house, to a robot or who knows what. 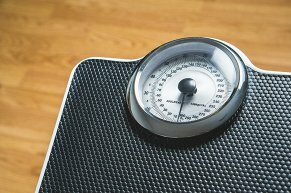 Depending what sensors you use, you could be fine, you could get readings that are slightly off, or you could get completely bogus results. 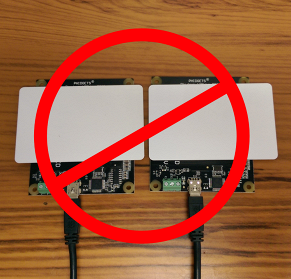 Recently, we have had several people reporting that our instructions for setting up an ad-hoc network with the SBC3 do not work. 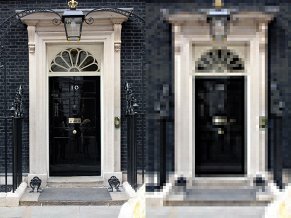 I, as lead support at Phidgets, decided to investigate. Yup, that’s broken. 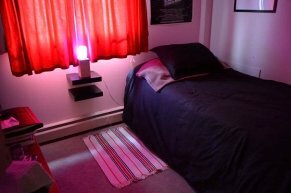 Use Phidgets to control a night light. In this project a pressure sensitive rug is attached to the SBC digital inputs to turn the LED light on and off. 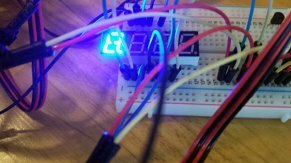 When the light is triggered, the SBC polls a temperature sensor and the lights takes on a colour based on the temperature outside. As the temperature changes, so does the colour displayed by the light. An IR distance sensor allows you to simply reach over and turn the light on (to white light) or off, so you don’t have to step on the rug all the time for light. The 1067 can handle approximately 10 joules of kinetic energy on a motor's shaft. Any higher than that, and the voltage spikes that are generated in the event of stalling will overwhelm the board. By far the most frequently replaced board in Phidgets history has been the 1063 PhidgetStepper Bipolar controller. Was it a bad Phidget? No, but motor controllers are often put on the front lines of a project, sandwiched between high voltage power supplies and high torque motors. Phil & Sebastian is a small-scale Calgary-based coffee roaster focused on quality coffee that comes directly from the farmers. Two engineers from Calgary, Phil & Sebastian, opened their first café seven years ago, leaving their cushy jobs behind to explore their passion for coffee. 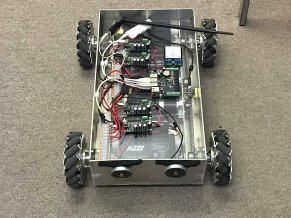 Falcon Robotics: Full STEAM Ahead! The quality of education, especially the disciplines of Science, Technology, Engineering, Arts, and Math (frequently abbreviated as STEAM) are regularly raised topics in American politics and media. It's in the context of concerns about the United States education system that the Falcon Robotics program becomes so inspiring. 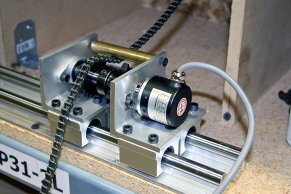 With the increasing popularity of DIY projects such as quadcopters, CNC tables and 3D printers, many people are faced with the decision of which type of motor to use in their project. 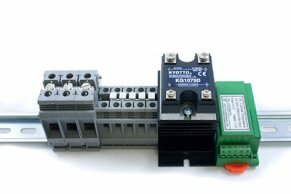 For applications that require precise control of the position of the motor, the common choices are DC motors with encoders, servo motors, and stepper motors. 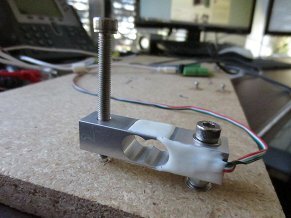 When it comes to measuring forces, we here at Phidgets are of the opinion that load cells are best. 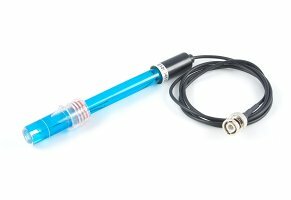 We do sell thin film force sensors, and understand that they are required for certain applications that lack the room for a load cell, and which do not require a precise force or weight value. 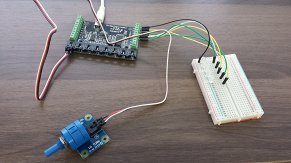 This simple project will take you through the basics of getting some interior sensing and home automation set up. 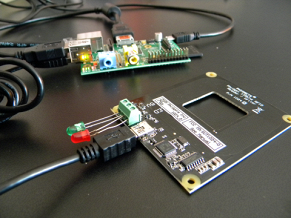 The project runs from a Phidgets SBC, will read light and sound and turn a light on and off remotely. 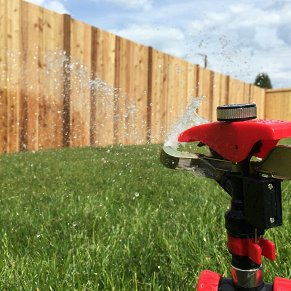 You can really grow this project to monitor and control your home, but to keep from getting too wordy, this just shows a couple of examples to get you started. 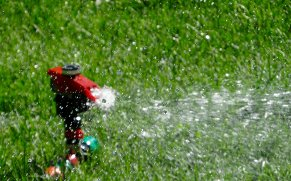 This tutorial gives first time Phidgets SBC3 users a quick guide for getting started. 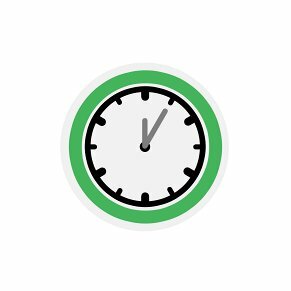 Learn all about the web interface, get your packages installed, get your feet wet with some ssh and run a couple of examples in both C and Java. 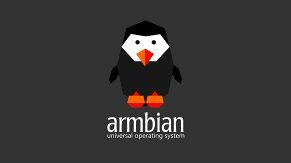 It's actually really easy to set up Phidgets on your computer and get some programs running. 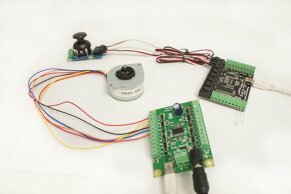 Before you know it you'll be controlling motors, turning on lights, reading sensor data and all sorts of stuff… but first, let's go through the basics. 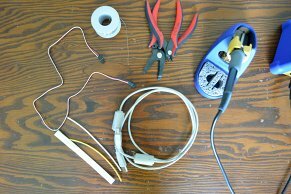 Many Phidgets customers have come forward asking how to make their own analog sensor cables. Today, we finally answer this nagging question. Phidgets Analog Input cables use connectors compatible with Molex “C-Grid SL” connectors. Crimping cables manually is delicate work. 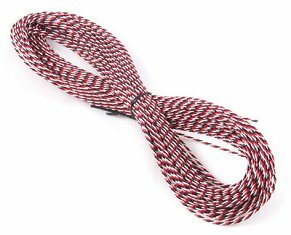 Normally, crimping cables like this is done by a machine. As you proceed, make sure to inspect your work carefully each step of the way. It begins as a grand idea. A flowering archway welcomes you onto a curving pathway. Fields of grass alight around your ankles, towering trees sing above your head and benches respond to your pressure, colouring a digital sky complete with a custom soundtrack. The landscape would take up a mere 1000 square feet. 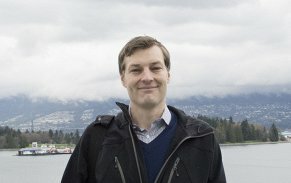 On a recent trip out to Vancouver, I had the pleasure of meeting up with Shaun August from Eos Lightmedia to talk about some of their projects that use Phidgets. 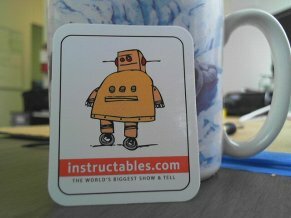 He's the director of design, the one in charge of programming, and the main guy using Phidgets. 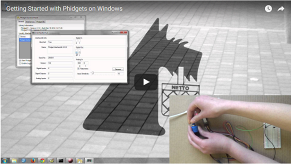 This project will introduce you to how Max works with Phidgets Interfaces. This tutorial will give you the basics so you can develop more complex projects on your own. The possibilities are countless. 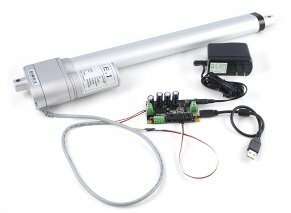 Since DC motors can ordinarily only be told how fast to go you need to program a control system. 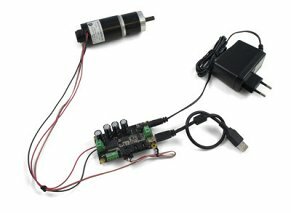 First, you need a motor that has a feedback device such as an encoder. 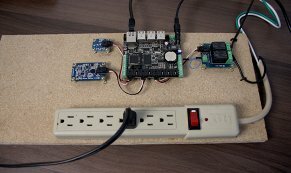 How to to communicate with your single board computer wirelessly and without using your home network. 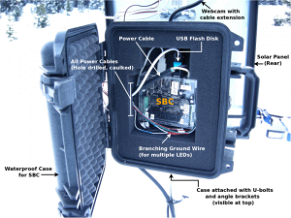 This project uses the SBC as a functional brain for a mobile collection of Phidgets in the form of a wheeled robot. 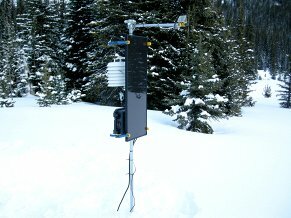 This project is a simple data recording program for the Phidget Spatial. We play with the program and record data to learn things about our environment. 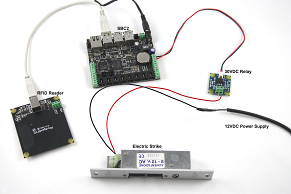 The project described here is a basic network control program for an LED plugged in to an SBC. This project uses various Python libraries for creating a MATLAB-like graphing program, which scrolls the graph in real time. 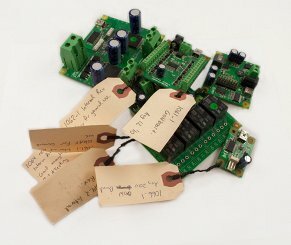 This project creates a website hosted on the Phidget Single Board Computer. The website can serve both static pages, as well as pages that can send simple requests back and forth to the Phidgets attached to the SBC. 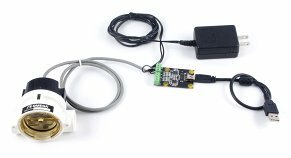 This project is a data recording program for the Phidget Temperature Sensors. We play with the program and record data to learn things about our environment.